Originally delivered in America; Registered in Belgium since 2007. Older restoration, in good condition. Recent engine revision and maintenance, invoices available. Ready to drive for a very competitive price. The Triumph TR2 is a sports car which was produced by the Standard Motor Company in the United Kingdom between 1953 and 1955, during which time 8,636 cars were produced. The car used a twin SU carburetor version of the 121 cid (1991 cc) four-cylinder Standard Vanguard engine tuned to increase its output to 90 bhp (67 kW). The body was mounted on a substantial separate chassis with coil-sprung independent suspension at the front and a leaf spring live axle at the rear. Either wire or disc wheels could be supplied. The standard transmission was a four-speed manual unit but overdrive was available on top gear as an option. Lockheed drum brakes were fitted all round. As of Q1 2011 there were approximately 377 licensed and 52 SORN TR2's registered with the DVLA. 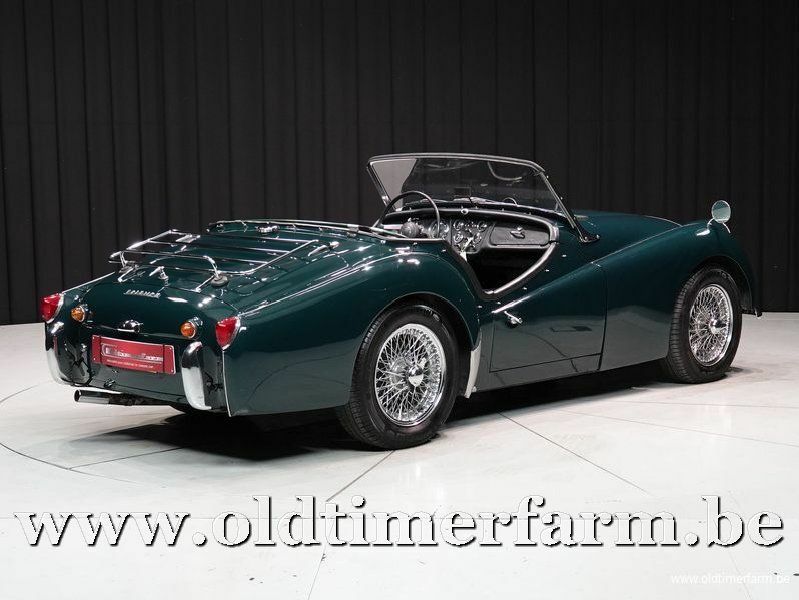 The TR2 was designed to challenge MG in the sports car export market to North America. It was also built because Sir John Black, the boss of the Standard Motor Company, made a bid for the Morgan Motor Company and failed. So he would have to build his own sports car that could compete with MG. Triumph already made the Triumph Roadster, but it was out dated and under-powered. Sir John Black wanted an affordable sports car, so he initiated a prototype to be built. The chassis was a shortened version of the Standard Eight's; the engine was the Standard Vanguard 2-litre; and a two-seater body was created around this. It was named the 20TS. When it was revealed at the 1952 London Motor Show, the look of the car wasn't liked. But the project was given the go-ahead by Black anyway. A year later the TR2 was revealed. It had better looks; a simple ladder-type chassis; a longer body; and a bigger boot. It was loved by American buyers, and became the best earner for Triumph. 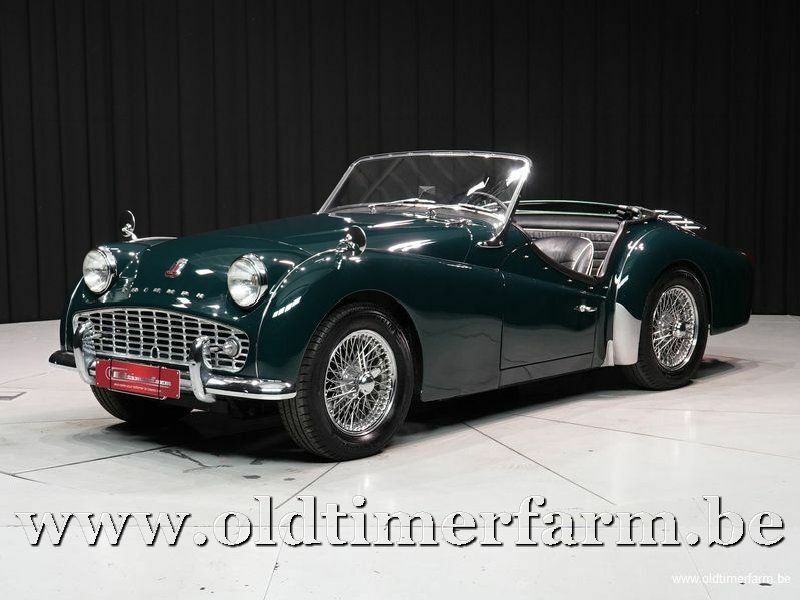 In 1955 the TR3 came out with more power; a re-designed grille; and a GT package which gave one a factory hard-top. The 1954 Motor Magazine commented that it was the lowest price British car able to exceed 100 mph (160 km/h). The TR3 is a true roadster, designed for sunny weather with removable rain protection. It has a convertible top (hood) that snaps on and off and removable side curtains, allowing very low doors with padding to rest one's arm on. There are holes in the floor, with rubber plugs, so that the originally supplied jack might be used from inside the car, as did the Jaguar XK 120. The optional heater was poor and the shut-off valve was under the hood (bonnet). A third person could get behind the seats, if absolutely necessary. 13,377 examples of the original "pre-facelift" TR3 were produced, of which 1286 were sold within the UK; the rest were exported mainly to the USA. As of Q1 2011 there were approximately 826 licensed and 115 SORN TR3/3a's registered with the DVLA.